What are the best bits of Darwinia? Isn't it a bit too late for that? New players can discover this ace game and pose questions about it can't they ? hitm4n wrote: New players can discover this ace game and pose questions about it can't they ? martinmir (the OP) is part of IV's marketing staff. To answer the question, the attachment that IV managed to create between the player (well, this player, anyway), and a bunch of flat sprites. For me there is something about the world. Every level is an island in an ocean of nothing it seems like, with an eternal flat sky above it. They may not of intended it that way, with the other parts of the world just being a bit farther, but thats how i've always viewed it. Just zooming out and simply seeing that small land mass below me is always great. As the level is an island in a sea in nothing, so is the earth in a sea of empty space, but outer space doesn't have a flat sky above it. I don't know, the sky/clouds really play a big role for me. 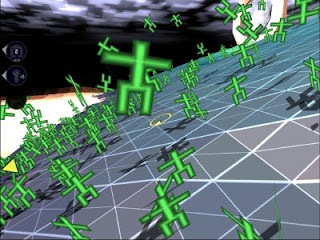 Re: What are the best bits of Darwinia? The 1's and the 0's. NeatNit wrote: The 1's and the 0's.